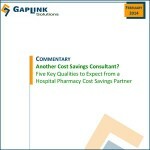 Multiple types of hospital facilities have reduced their pharmaceutical spend by partnering with GapLink. GapLink specializes in helping hospital pharmacy leaders realize hard-dollar cost savings that are above and beyond existing departmental efforts with minimal risk to the hospital. Gain an experienced resource to evaluate new cost savings ideas with your existing team. We work for the benefit of your team as part of the team. Capture an upfront look of potential savings opportunity with no-obligation and minimal time commitment. Go here to learn more. GapLink works with your team to create customized solutions at a pace determined by you. We want to make it as easy as possible for you to have as much success as possible. We customize our approach for health systems needing additional drug formulary standardization. Contact us to learn more. The only way that we benefit is if our clients benefit. 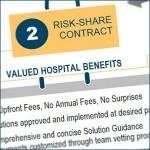 A risk-share partnership ensures that hospitals and health systems have minimal risk when utilizing GapLink’s services. 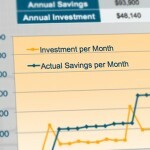 Preview an example free, no-obligation Solution Impact Analysis. From the initial analysis through implementation, GapLink customizes cost-savings solutions for each client. Learn more.